I know family photos can be stressful (hello - just getting everyone dressed and out the door on time is not an easy task! ), so I take a lighthearted approach to each photo shoot and strive to make the experience fun for everyone involved. I'll guide you through poses that allow for movement and connection, playfulness and laughter, while focusing on the interactions between each family member. I know, me too! And that's exactly why you'll find me behind the camera. Don't worry, before you even have time to wonder what to do with your hands, I will give direction and guidance so you can relax and enjoy the time with your family. I'll even tell corny jokes whenever necessary to coax real smiles out of everyone. 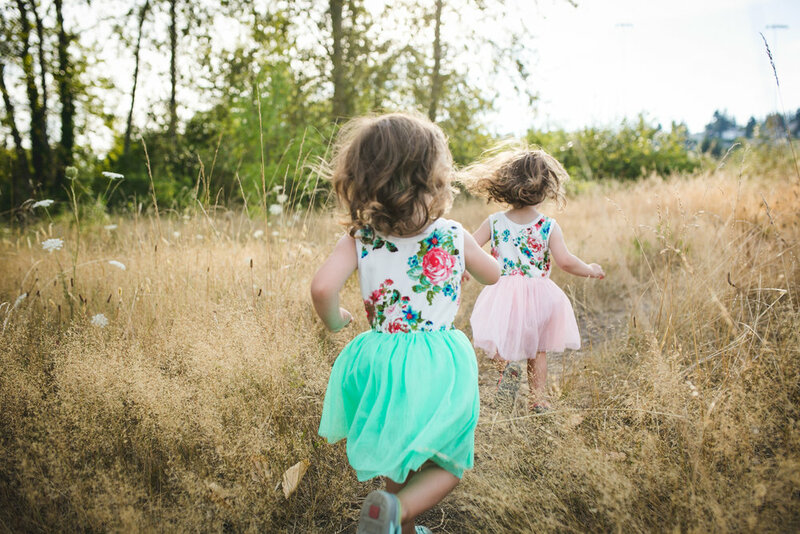 I offer three different photo session styles for families, so consider your goals for the photos when reviewing the packages and choose which one best aligns with your vision for the shoot. 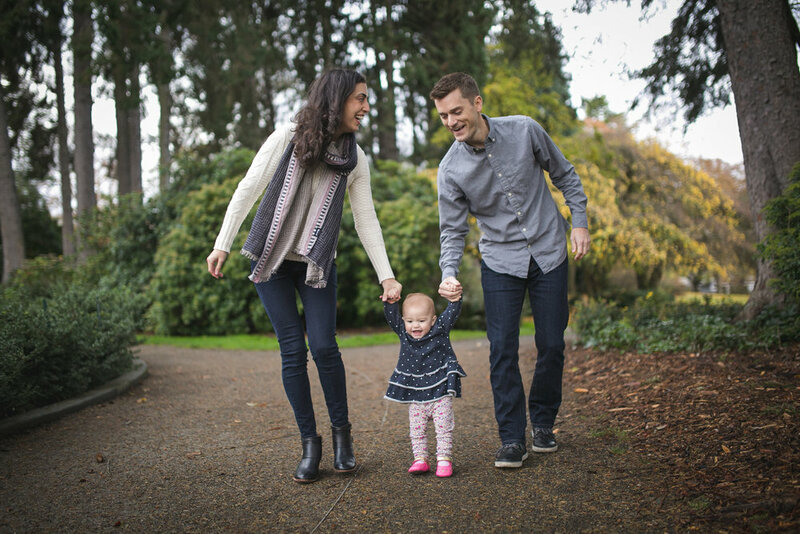 These sessions are a great opportunity to get a mix of posed and candid photos of your family at a beautiful location in or near Seattle. 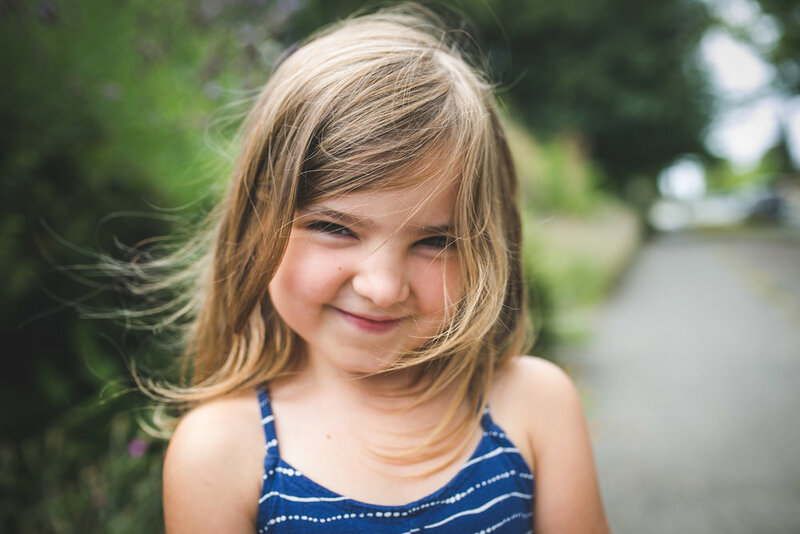 Even though the title says portrait, most of the session will focus on poses that lead to connection with your family and not necessarily with the camera. That's how we keep things light, fun, and engaging for the hour! Package includes one hour photo shoot, 45 hand edited images, digital files, print release, and access to high quality print options. Does your typical Saturday morning involve a family bike ride, coffee at the local spot, and a picnic at the beach? Or cruising through the Ballard market, grabbing some hot donuts and picking out your produce for the week while dancing to street performers? Invite me to crash your day together and I'll take pictures along the way, capturing your family's authentic interactions, natural beauty, and emotional connections. Package includes two hours of coverage, two to three activities and locations, 65 hand edited images, digital files, print release, and access to high quality print options. If getting out of the city is more your style, I'll lace up my hiking boots and follow you up your favorite trail, grab a life jacket and set sail with you on the lake, or catch a ferry for a day of beach exploring and coffee shop hopping. The sky is the limit here, tell me about your family's passions and I'll be chomping at the bit to fill up my memory cards with your adventures. This package includes up to six hours of coverage, multiple activities and locations, 85 hand edited images, digital files, print release, and access to high quality print options. A 50% session deposit and signed contract will reserve your session date. I am so excited to work with you!